‘Ant-Man’ Sequel Announced…With a Cool Title! If you liked Ant-Man, you’ll be thrilled with this news! 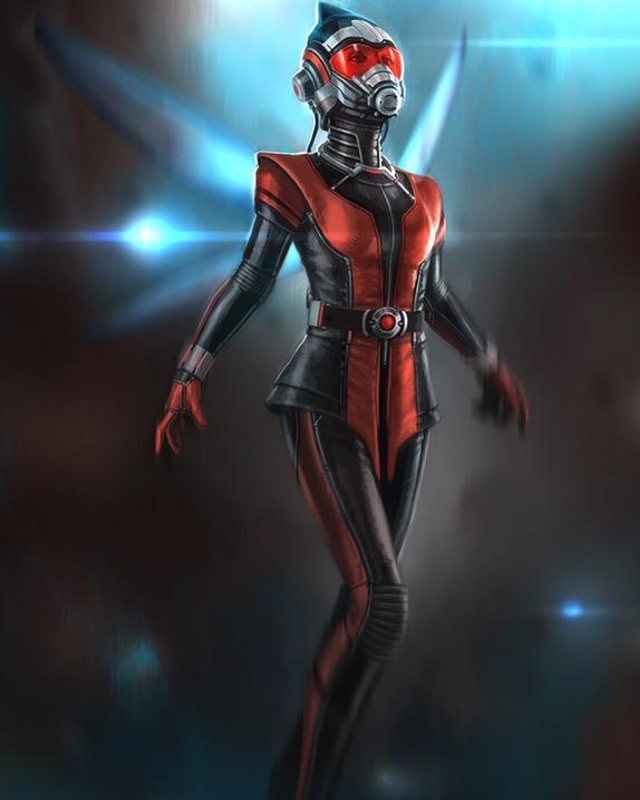 Concept art developed for ‘Ant-Man’. Thursday, Marvel announced that we’ll be getting a second movie featuring Scott Lang and Hope Van Dyne. The follow-up to this summer’s hit will be titled Ant-Man and the Wasp and will arrive in Phase 3 of Marvel’s Cinematic Universe on July 6, 2018. This is the second movie unexpectedly interjected into Phase 3, alongside the upcoming Spider-Man reboot. As such, this movie will shift around some previously announced Marvel films. To accommodate the switch, Black Panther will now premiere on February 16, 2018 (previously July 6, 2018), and Captain Marvel will arrive on March 8, 2019 (previously November 2, 2018). But that’s not all! In the same press release, Marvel also announced three currently untitled films. These films will be released on May 1, 2020, July 10, 2020, and November 6, 2020. Check out the full press release on Marvel.com. I’m not surprised Ant-Man’s getting a sequel. Considering the movie’s generally positive reception, a sequel seemed like a lock. But I am pretty surprised we’re getting one so soon. Marvel had a busy schedule before this movie was announced, and now they’re coming close to releasing three movies a year. That’s huge. This news struck me as kind of bittersweet. Am I excited that Ant-Man’s getting a sequel? Absolutely. However, this is the second time Captain Marvel’s been pushed back. Of all the movies coming out in Phase 3, Captain Marvel is one of my most anticipated because I know virtually nothing about her. On the bright side, I am pretty dang excited that we’re getting Black Panther a little earlier than expected! But let’s get down the real mystery: what are those three untitled movies? Are they extensions of Phase 3? Are they apart of a new phase? I’m so lost, but it’s okay.